Choose from 39 hotels and guest houses in Lincolnshire. Shown below a just a selection of the hotels available. To search within an area please use the menu on the right. In 12th-century Grantham, close to the A1, the clean and comfy Best Western Kings Hotel has 2 restaurants and free Wi-Fi access in public areas. Kings Hotel is not far from Belton House (National Trust) and is 6 miles (9.7 km) away from Belvoir Castle. Reduced rates are available at Belton Park Golf Club and Sudbrook Moor Golf Club. 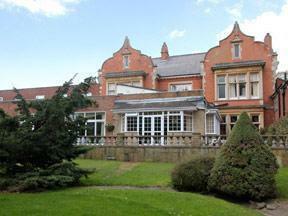 The hotel's Orangery Restaurant is ideal for a quick meal, and the Victorian Restaurant will suit a special occasion. The menu features local produce from the farms of Lincolnshire and Leicestershire. Somewhere special for travellers and business guests alike, this large Victorian guest house provides a home away from home in Cleethorpes. 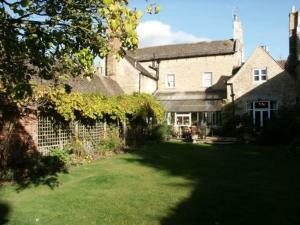 Inspected by both the English Tourism Council and the AA, Tudor Terrace Guest House has been awarded the new grading of 4 stars accommodation. The guest house is situated very close to the seafront (40 yards) and is also in a great location for the Winter Gardens, Leisure Centre, Boating Lake and many other attractions. For business guests, the guest house is conveniently located for Grimsby port and the Humber Bank Industries. For those wishing to tour the area, the delights of the Lincolnshire Wolds and the historic cities of Lincoln and York are a pleasant drive away. On the A52, near Boston's town centre, the hotel has a quiet, relaxing location and offers great value, with free parking and comfortable, spacious, and modern en suite rooms. The Premier Inn Boston has a peaceful out-of-town location, just 5 miles (8 km) from the Pilgrim Fathers Memorial and 1.5 miles (2.4 km) from the Guildhall Museum and the Haven visitor centre. For a trip to the seaside, Skegness is 24 miles (38.6 km) away. Some rooms can take 2 adults and up to 2 children (under 16 years). The 2 children also get a free full breakfast when accompanied by an adult eating a full breakfast. An all-you-can-eat breakfast buffet is available each morning and includes scrambled, fried, poached or boiled eggs, and pork or vegetarian sausages. There is also a wide continental selection. The on-site Brewers Fayre restaurant offers traditional, great-value pub favourites in a family-friendly environment, with an outdoor children's play area. Offering an inviting welcome to your stay in Skegness, this small and cosy hotel is conveniently located close to all local amenities and attractions. Tracy and Martin are pleased to welcome you to a fully refurbished family-run hotel. This is a licensed hotel situated in a quiet location only a few minutes from the bus/coach and railway station and a 5-minute walk from the beach. The hotel holds the Welcome to Excellence certificate for the high standard of customer care. The Fountaindale has also been awarded the Gold Food and Health Award which recognises the hotel's constant commitment to safety, hygiene and providing healthier food choices for customers in this totally smoke-free establishment. Situated in South Hykeham, on the outskirts of the historic city of Lincoln, this modern hotel and leisure centre is ideally located just 8 minutes away from the A1/Newark junction. 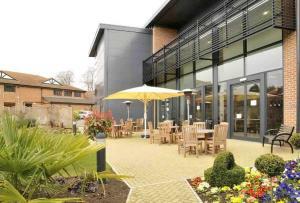 The Bentley Hotel aims to provide facilities for a range of guests. Leisure visitors can take advantage of the extensive facilities, including a jacuzzi, sauna, steam room, indoor swimming pool, fully equipped gym and the Beauty Spot, offering a full range of treatments. You can also visit the many attractions Lincoln has to offer. In addition to the convenient location, The Bentley Hotel offers business guests 3 multi-function rooms, with a capacity of up to 350 people theatre-style. 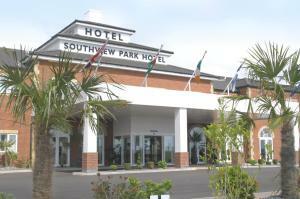 They feature all standard conferencing facilities, including free internet. The Pyewipe has a rural setting beside the Roman Fossedyke canal, with views of the cathedral and castle. 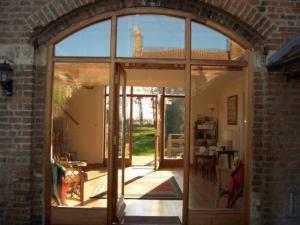 It is a 20-minute walk from the city centre and the historic quarter. Renowned for its unrushed service, The Pyewipe serves tasty food from its bar and restaurant menus. The Pyewipe in Saxilby is a mooring point for narrowboats, and there is a terrace beside the canal where you can enjoy drinks and meals all day. The 21-room lodge has clean, spacious and well-equipped en suite accommodation with pleasant views. Located in the tranquil settings of a pretty North Lincolnshire Village, The Ashbourne Hotel and Restaurant offers all the facilities associated with a 3 star hotel. Close to the towns of Grimsby and Scunthorpe the Hotel's close proximity to the A180 offers easy accessibility to all major routes via the M18. The rooms are attractively decorated and en suite. This 17th-century coaching inn is recently refurbished and family run, offering winter log fires, free on-site parking and free internet access, all within 100 metres of the blue flag beach. Bacchus Hotel has '4-star Inn' status from the English Tourist Board. There are 2 lounges, a restaurant with candlelit weekend dinners, and a beer garden with August beer festivals. Room have TV and tea/coffee Close to the local shops, Bacchus Hotel is also disabled-friendly, with a stair lift to 1st floor rooms. With prior notice, you can even bring your pet. 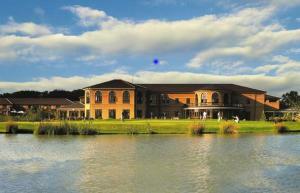 Bacchus Hotel is 1.6 km from a local golf links course (golfing offers available). Facilities are available for meetings and private functions. 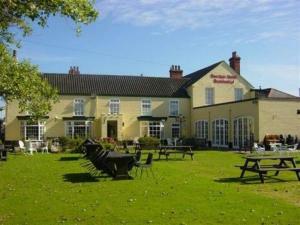 Beautiful Country House Hotel situated a mere 3 miles from the historic City of Lincoln. Our AA and RAC award winning Lakeside Restaurant provides fine cuisine from around the world. Please bear in mind that our magnificent building is set in 88 acres of wooded parkland and lakes and caters for conferences, weddings, functions, dinners and private parties. The elegantly styled decor reflects the buildings original character and era. Right in the centre of Lincoln, directly overlooking the waterfront and Brayford Marina, this full-service modern hotel boasts views of Lincoln Cathedral and castle from the back. Located right in the city centre, the Holiday Inn Lincoln is situated opposite the university, within easy reach of all that Lincoln has to offer, including businesses, shops, entertainment and major transport routes. The convenient central location makes it a great base from which to explore the architectural treasures that reflect Lincoln's rich history. Every air-conditioned en suite room has satellite TV, tea/coffee making facilities, a hairdryer and a well-lit desk and chair. High-speed wired internet access is available at an additional cost. The hotel offers a full English buffet breakfast, 24 hour-room service and full ? la carte menus in the restaurant and bar. There is a fitness room on the ground floor and a large, secure car park behind the hotel, with parking available at an additional cost. A pleasant mix of old-world charm and modern facilities, this charming, rustic hotel is set in beautiful countryside just 1 mile (1.6 km) from the A1. The Olde Barn has a health club and spa with an indoor swimming pool, sauna, gym, jacuzzi and steam room. In a peaceful setting, with free private parking on site, the Olde Barn Hotel has good access to the area's major roads and many local attractions. Every room is en suite and well equipped; some even have four-poster beds and jacuzzi baths. Free wireless internet is available throughout. The excellent restaurant offers delicious meals, made using the finest, freshest, seasonal local ingredients available. The atmospheric Barn Bar offers a range of drinks, as well as the hotel's unique Lincolnshire Tapas, showcasing some of the region's finest produce. 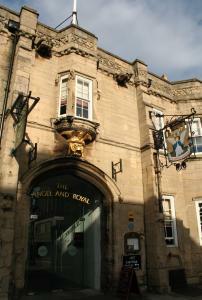 Idylically situated in the south-west corner of Lincolnshire Britain's oldest Inn The Angel and Royal Hotel is an Historic Hotel having hosted seven Kings over 600 hundred years. Britian's oldest inn has been beautifully restored and provides affordable luxury in the ancient market town of Grantham. The Angel and Royal features an award winning restaurant, individually furnished suites and bedrooms, cosy fire lit nooks and bars, and modern conference facilities. Our charming & unpretentious style will make 'our home your home'. Completely renovated in October 2008, The Granary is Long Sutton's newest hotel, bar and restaurant, and boasts 5 attractive en suite rooms and a purpose-built family chalet suitable for disabled guests. 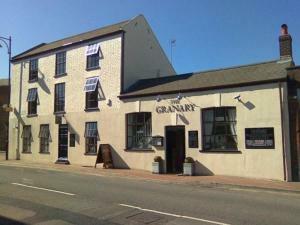 With just 5 rooms, the Granary offers all the modern comforts and facilities of a hotel in a cosy, intimate setting. All of the en suite rooms are decorated to a high standard and boast feather-top mattresses, LCD flat-screen TVs and tea/coffee making facilities. A generous and tasty full English breakfast is included in the price The newly refurbished bar and restaurant serves meals 7 days a week, with lunch available from 11:00 to 15:00 and evening meals from 18:00 to 22:00 (18:00 to 21:00 on a Thursday). On Sundays, the Granary offers a carvery from 12:00 to 15:00. The restaurant serves tasty food, freshly prepared on site, using the best produce from local suppliers. The menu offers everything from traditional and classic dishes to more unusual specialities. You can dine in the small hayloft restaurant or in the traditional lounge and public bar area. The Granary also offers a wide and varied selection of real ales, lagers and spirits, as well as an ever-expanding wine list. Free public parking is available nearby. The Premier Inn Grimsby hotel has free parking and family-friendly en suite rooms, with an on-site Brewers Fayre restaurant serving good-value pub-style meals. Premier Inn Grimsby is 3 miles (4.8 km) from Grimsby town centre and Blundell Park (home of Grimsby Town FC). The hotel is close to Pyewhit Industrial Park, with the Pleasure Island, Auditorium and Cleethorpes beachfront are a short trip away. Some rooms can take 2 adults and up to 2 children (under 16 years). The 2 children also get a free full breakfast when accompanied by an adult eating a full breakfast. The full all-you-can-eat breakfast has the expected cooked items, including vegetarian sausages, as well as a wide continental selection. This hotel is set on a private estate built in 1877, and nestles in 5 acres of beautiful Lincolnshire parkland between the Wolds and the River Humber. The hotel is perfectly located for exploring the historic city of Lincoln, Cleethorpes and Kingston upon Hull. Benefit from discounted rates at a local golf course (3 minutes by car) for all residents. Renovated to a very high standard in 2003, this charming 4-star guest house offers superb bed and breakfast accommodation, free Wi-Fi and free on-site private parking. Wesley Guest House is located in the heart of historic Epworth, in a quiet corner of the village, but within easy walking distance of all the historic attractions. On the border of North Lincolnshire and South Yorkshire, Epworth is a great base from which to explore all that the region has to offer, including nearby Lincoln, York, Hull, Doncaster and Scunthorpe. Fully refurbished and decorated to a high standard, all of the rooms have TVs, tea/coffee making facilities and en suite bathrooms with showers. Since its opening, the guest house has won 9 awards and has achieved a 4-star rating from the AA and from VisitBritain, A delicious full English breakfast is included in the price and is freshly cooked to order. 3 miles (5 km) from junction 4 of the M180 motorway and only 2.5 miles (4 km) from the heart of Scunthorpe's town centre, the hotel offers comfortable, great-value rooms and free parking. 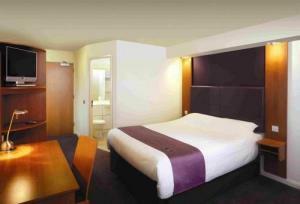 The Premier Inn Scunthorpe has a convenient location with good access to the region's major roads. 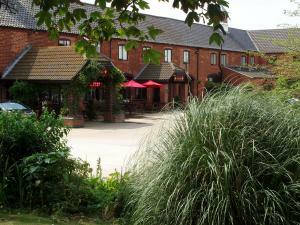 Situated on the Lakeside Retail Park, the hotel is within easy reach of all that Scunthorpe has to offer. Humberside Airport is 12 miles (19.3 km) away. The hotel has a 24-hour reception desk and some rooms can take 2 adults and up to 2 children (under 16 years). The 2 children also get a free full breakfast when accompanied by an adult eating a full breakfast. An all-you-can-eat buffet breakfast is available each morning and includes the expected cooked items such as scrambled, fried, poached or boiled eggs, and pork or vegetarian sausages. There is also a wide continental selection. The on-site Beefeater restaurant serves freshly cooked char-grilled food.